Do today's engineering lecturers lack industrial experience? Only two days ago I reported on the CSM Annual Dinner, and how times have changed regarding women in mining. Today I found the wonderful photo below on Twitter. It is a beautifully restored and colourised photo by Marina Amaral (Twitter @marinamaral2) and she calls it "the most intelligent picture ever taken". 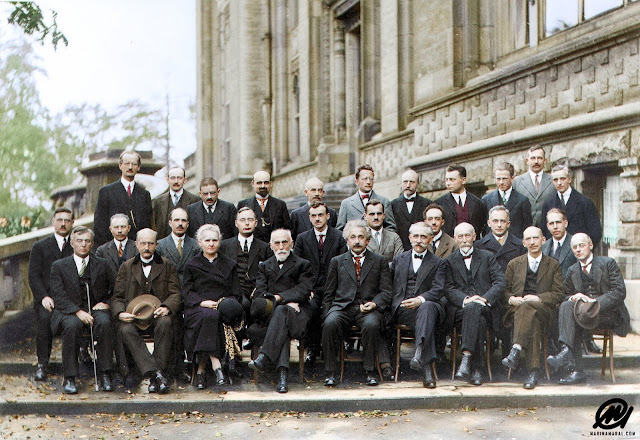 It shows participants at the 5th Solvay Conference on Quantum Mechanics in 1927, at which 17 of the attendees were, or became, Nobel Prize winners. What is notable is that there was only one woman at the conference, Marie S. Curie. As I said on Sunday, times have certainly changed. Marina has also listed the people in the photo, a listing which absolutely oozes with eminence! Canada is a world leader in the metallurgical industry, and at Flotation '19, Jan Nessett will highlight in his keynote lecture the important contributions to flotation that have come from Canadians. There were relatively few alumni at last night's Camborne School of Mines (CSM) Annual Dinner in Falmouth. Attendance was dominated by current students, and as Head of School Kip Jeffrey reported there are now many more students on post-graduate MSc courses than there are on undergraduate courses, the gulf likely to increase next year with the introduction of the new MSc in Mineral Processing. In 1981 local girl Julie Holl caused quite a stir when she enrolled on the degree course in Mineral Processing Technology, graduating with a first class honours degree in 1984. 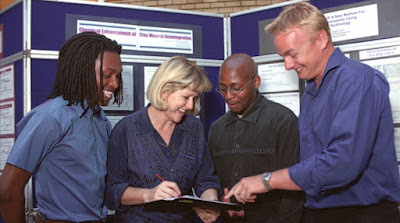 Gaynor Yorath joined a year after Julie, and is now on the staff of the University of Cape Town. Thereafter the number of female students began to grow, but it was several years before the first female member of staff, and it would have been hard to imagine that there would one day be a female Director, as there was when Prof Frances Wall took up her duties in 2008 (Frances will be a keynote speaker at Process Mineralogy '18 in Cape Town). And who would have wagered on a young woman becoming President of the Student Union, as did Madeleine Hinton in 2012? Last night there was another bit of history, when 1995 graduate Emma Priestley, CEO of Goldstone Resources plc, became the first woman to be invited as the Guest Speaker at an Annual Dinner. Times have indeed changed, and so much for the better. And if anyone knows the whereabouts of Julie Holl, please let me know as I would love to get in touch. the late John Tinkler, and John Webber. F.B. 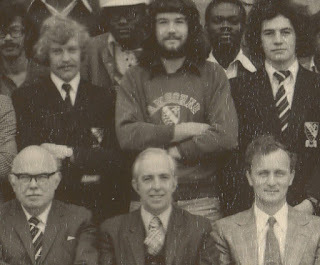 Michell, and on the right the Principal, Peter Hackett. Last night's Cornish Mining Sundowner in the north coast village of Portreath, was missing one of its regulars, Paul Burton, a great guy who sadly passed away last week after a long battle with cancer. I had known Paul for over 43 years. He was a final year mining student and good rugby player at Camborne School of Mines when I took up my lecturing duties in 1974. He had an MSc in Mineral Economics and an MBA from Wits University, South Africa, and for the past 5 years was Managing Director of Piran Mining Research Ltd, providing independent online research and evaluations of selected gold companies worldwide. He was also a consultant and mining analyst for various companies, and for over 15 years was the Editor of World Gold Analyst, and for 22 years Chairman of the FTSE Gold Mines Index Committee. It was good to see so many of Paul's friends at the Portreath Arms Hotel to celebrate his life and to raise our glasses to his memory. It was particularly good to meet CSM graduate Jeremy Wrathall, founder and CEO of Cornish Lithium, and to hear of the investigations into innovative methods of extraction of lithium from the Cornish brines. Paul Burton appears on many of the sundowner pictures, but my favourite is the one below taken at the October 2015 sundowner, where Paul (2nd left) was sharing a joke with fellow alumni Mark Shimmield and Nick Wilshaw, and the late Prof. Keith Atkinson. Our thoughts are with Paul's daughter, Jenna, at this sad time. The funeral service will be held on Wednesday April 4th at 11.30am at the Penryn Methodist Church, followed by a celebration of Paul's life at the Thirsty Scholar pub in Penryn. Comminution '18 begins four weeks today at the Vineyard Hotel in Cape Town. We have an outstanding programme, and if you wish to join us we look forward to receiving your registration as soon as possible. The delegate list is being updated each Saturday, and already 16 international mining companies are represented (see posting of 3rd March for more details). Two months later we will be in Namibia for Biohydrometallurgy '18 and Sustainable Minerals '18, which will run back to back (more details on posting of 29th January). And then in November we are back in Cape Town for two more back to back conferences. Process Mineralogy '18 is the 5th in this popular series, and has two very interesting keynote lectures. Prof. Alan Butcher will present "When Scientists and Engineers Talk – Lessons from the Oil Industry and Applications to Mining" (posting of 31 July 2017) and Prof. Frances Wall will present "Problems in the processing of rare earths- the importance of mineralogy" (posting of 8th January). Process Mineralogy will be followed by a new MEI Conference, Developments in the Processing of the "Hi-Tech" Metals, very relevant in the modern world of computing, renewable energy and electric cars, which are consuming finite resources at a rapid rate (see also posting of 5th June 2017). In a keynote lecture co-authored by Max Frenzel and MEI Consultant Markus Reuter, Prof. Jens Gutzmer will examine the number of expressions used to describe this group of commodities that are considered essential ingredients for technology development and economic prosperity (posting of 14 September 2017). So an exciting few months ahead, and we hope to catch up with you in Southern Africa. In case you missed it, the 2018 QS Rankings of Mineral and Mining Engineering Universities has been published. 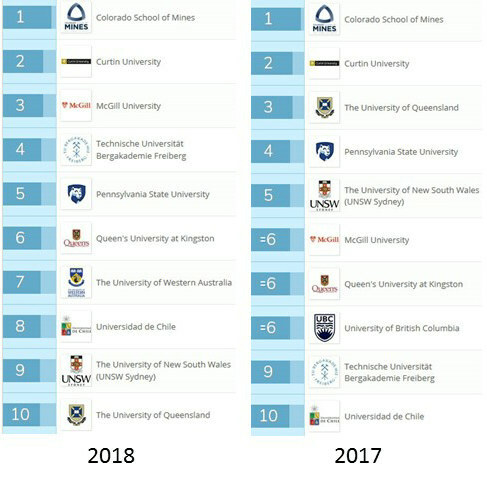 This is the 3rd year that QS has published a list of such universities, and they do seem to be learning, as the list is much more credible than it was 2 years ago. The 2016 listing came in for very heavy criticism, as it contained universities which do not produce mining and minerals engineers, such as Oxford and Cambridge! I am pleased to see that the world renowned Camborne School of Mines is at last recognised, at number 16 (as University of Exeter). 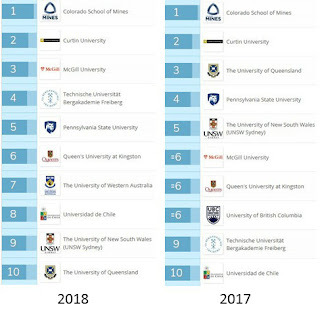 Many congratulations to the other CSM, Colorado School of Mines, which merits a number one placement for the 3rd year running, and to Australia's Curtin University, at number 2 as last year. The top 10 for 2018 and 2017 are shown on the left. 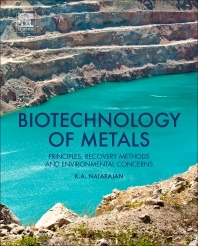 This volume deals with all aspects of metal biotechnology in different areas, such as biogenesis, biomaterials, biomimetic strategies, biohydrometallurgy, mineral biobeneficiation, electrobioleaching, microbial corrosion, human implants, concrete biocorrosion, microbiology of environment pollution, and bioremediation. 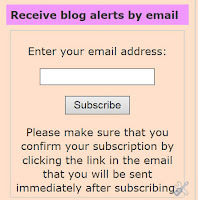 The author is Dr. K.A. Natarajan, a long standing Editorial Board member of Minerals Engineering and a NASI Senior Scientist- Platinum Jubilee Fellow and Emeritus Professor at the Department of Materials Engineering, Indian Institute of Science, Bangalore, India. 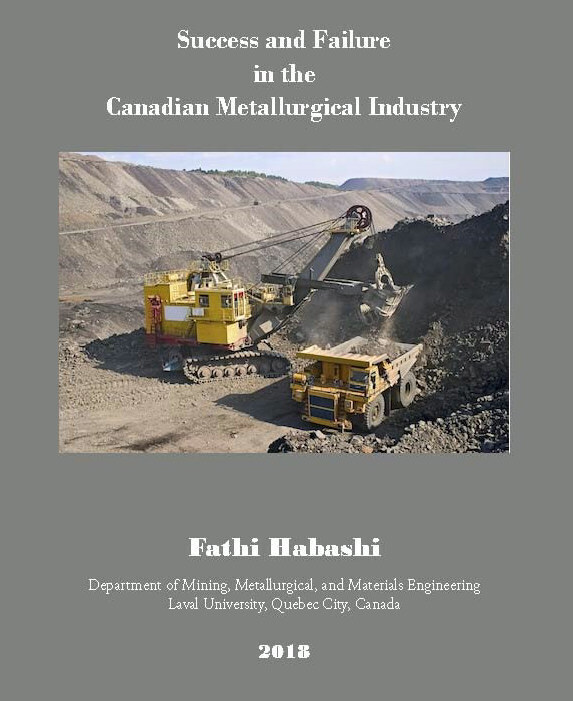 As the technology of this interdisciplinary science has diversified over the last five years, this book provides a valuable source for scientists and students in a number of disciplines, including geology, chemistry, metallurgy, microbiology, chemical engineering, environment, civil engineering, and biomedical engineering. This first edition book is published by Elsevier and will be of great interest to all those participating in MEI's conferences in Namibia in June, Biohydromet '18 and Sustainable Minerals '18. 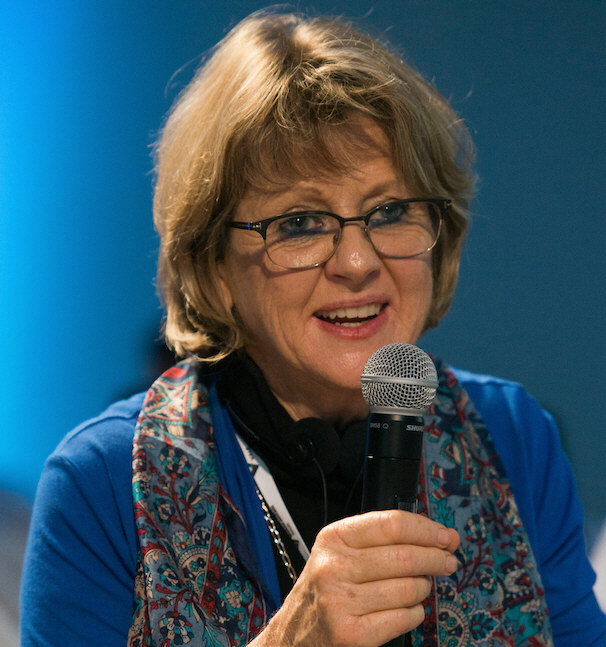 This guest blog is by MEI Rising Star Dr. Anita Parbhakar-Fox, of the University of Tasmania, who recently interviewed one of mineral processing's leading ladies, Prof. Dee Bradshaw. Today is International Women’s Day which was formally adopted by the United Nations in 1975 (though was celebrated as early as 1909). It is regarded as an opportunity to celebrate the social, economic, cultural and political achievements of women. It is also a time to show future generations who our champions are to inspire them to strive for excellence in their own careers. With that in mind, there is no more deserving woman to acknowledge today than Professor Dee Bradshaw. I had the chance to catch up with Dee to learn more about her career and to get her top tips for young professionals starting out in the minerals industry. Dee's career has taken her on a pathway which recently saw the launch of the book ‘Green Mining, Beyond the Myth’ which addresses the social, economic, cultural and political issues surrounding sustainable mining, and explores pathways to a better future for the mining industry. For many graduates and early career researchers, Dee has been a mentor encouraging them in their research endeavours with such infectious enthusiasm whilst always reminding them to consider the ‘philosophy’ component of their research. 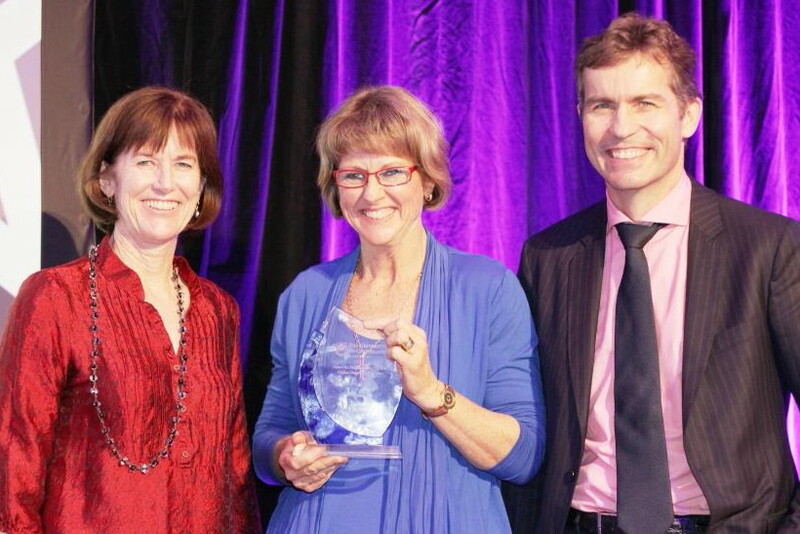 Her outstanding efforts were acknowledged by the University of Queensland in 2013 where she received an award for Excellence in Research Higher Degree Supervision (MEI Blog). Dee obtained her PhD in 1997 in Chemical Engineering from the University of Cape Town (UCT) and went on to be a research officer and associate professor at UCT until 2008. In her last year, she took sabbatical leave and worked for 8 months with Rio Tinto (Centre of Technical Excellence, Bundoora, Australia and Kennecott Utah Copper Corporation, Salt Lake City, USA) and 4 months at the Sustainable Minerals Institute (SMI) in Brisbane. Dee enjoyed her time in Brisbane so much that she stayed on for the next seven years working at the SMI and JKMRC. Here she had several professorial roles including as theme leader within the AMIRA P9 and P843A projects and also as a Visiting Professor at the Mining Engineering Department Hacettepe University, Ankara. In 2016, Dee came full circle and returned to her alma mater where she was appointed as the South African Research Chair in Minerals Beneficiation and the Director of the Mineral to Metal Initiative. Dee is internationally renowned as an expert in the field of flotation with her reputation for excellence developed over four decades. When asked what sparked her interest in chemical engineering Dee explained more about her early education. She grew up in a small town in Zimbabwe where she had access to a good public education where maths and science were taught to a high standard. Having got a good grounding in these subjects, she won a place to study at UCT where she enrolled in a science degree. After her first year, she found her passion for chemical engineering grew as she was drawn to the problem-solving nature of this discipline. Dee found herself fascinated with the processing flowsheet, examining the inputs and outputs and pondering on what processes were occurring in between (what were the intermediate products and rate determining factors?). She enjoyed the challenge of taking messy processes and trying to introduce barriers and constraints to better understand and control them. Dee recognises that chemical engineering is a discipline that focuses on solving complex problems, and suggests that females in particular are well suited to this, so much so that enrolments (at UCT) have increased to the point where it is colloquially known as ‘Femme-Eng’. But I rather suspect this trend also reflects the fact that undergraduates are inspired by Dee and her departmental colleagues to read this subject. For many postgraduates, deciding what the next step in their career should be (after submitting a thesis) is a very difficult decision to make. I asked Dee when she first realised that she wanted to continue into an academic career beyond her PhD. She described herself as an ‘accidental academic’. Having started a family young, she had contacted her former (BSc) supervisor to seek part-time work. 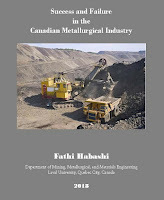 She was encouraged to start a PhD examining surfaces and flotation (synergistic effects between thiol collectors used in the flotation of pyrite). This equipped her with technical skills to apply as a researcher and lecturer during the platinum boom (which commenced around the time she completed her thesis) where many processing challenges were encountered and there was an abundance of research funding available to solve them. Dee realised she had a passion for working with people, solving problems and answering research questions, so academia became quite a natural fit. Dee describes her passion for applied science, she is very happy to collaborate with scientists working on the fundamental problems and developing new knowledge but she has always thrived where she can apply this knowledge to solve problems faced in the minerals industry. Dee is a true doctor of philosophy; she is an avid reader (mostly non-fiction) and is keen to explore the meaning of everything she encounters. This very nature, combined with supervising the PhD research undertaken by Megan Becker, sparked Dee’s desire to become more proficient in mineralogy. So, in the pursuit of upskilling, Dee spent a portion of her sabbatical working with Brett Triffett, Greg Wilkie and Dewitia Latti at Kennecott, which coincidentally was at the time of the mining supercycle. She described warmly the privileged way in which she was able to learn, immersed in this hands-on environment, with Greg also providing one-on-one tuition. 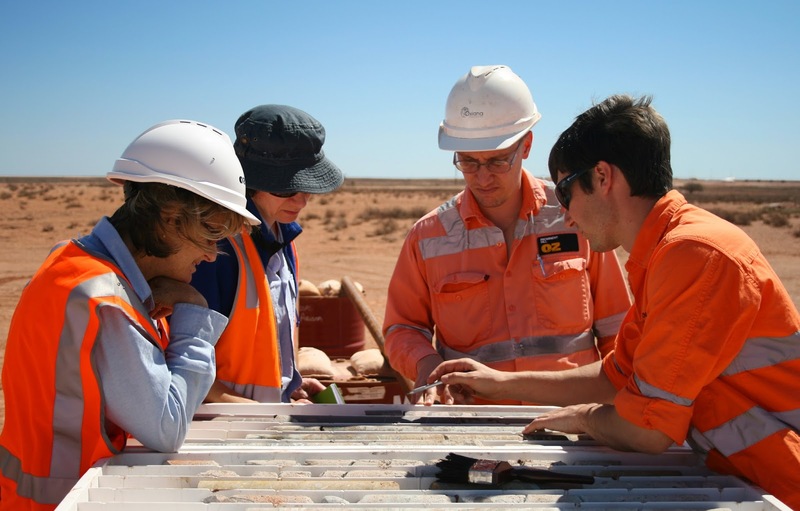 For many working in the minerals industry, moving around the globe is a part of what we do. I asked Dee what made her want to go to Australia on sabbatical and to stay on there for several years after. She described that when she approached Don McKee about a role for her sabbatical, instead of placing her in the chemical engineering department or the JKMRC, he pushed her out of her comfort zone. Don tasked Dee with the development of the EnviroGem project (a spin-off to the AMIRA P843 GeM project) where she worked with a completely new team of researchers who very much were looking at very familiar mineral species but with a very different interest and perspective. It was here that I met Dee, and she became so proficient in this realm that she gave several conference papers on our work together. That is one of the key qualities Dee has, she is simply not satisfied to stop learning, she is always interested in new ideas and projects and has an infectious thirst to gain new knowledge and collaborators. Dee had an epiphany moment about 20 years into her career where she realised that whilst she had loved the technical aspects of working in mineral processing and chemical engineering, she actually loved the interaction with people and the development of their talent more. This sparked her deep passion for research supervision which she continued to develop during her time in Brisbane. Dee recognises that postgraduate students are in a space of transformation, they are performing research that will ultimately transform a society whilst transforming their own minds, values and beliefs, preparing for future leadership in various capacities. Dee is keen to learn all about her students (I’ve never met a supervisor or mentor who has suggested I do an MBTI as homework from our first meeting!) she likes to understand how they function and then develop her supervisory style accordingly to get the best out of them. This approach really underlies her ‘living gold’ concept for which she was awarded by the University of Queensland. After more visiting professor roles, Dee moved back to UCT, but had now found herself in a very different role to that when she left. Now her career had evolved and she reconnected with many people from her past which enabled her to effectively collaborate. Whilst before she had been in the technical role, now she had to learn to trust others in these position to support her as she adopted the role as leader. The pinnacle of her work is the publication of the ‘Green Mining: Beyond the Myth’ book for which she is a co-editor. The book was conceived following the workshop (on this topic) she conceptualised and co-organised in August 2017. Dee recognised the importance of organising this workshop, as in South Africa mining plays a pivotal role in society with many positive and negative outcomes (socially, environmentally and politically) stemming from it. Dee and her team realise that now that the global conversation has focused seriously on sustainability issues, the mining industry has an opportunity to learn from mistakes made in the past and change practices to lead them onto a cleaner and greener pathway to the future. She is keen for this book to be a catalyst for change and for the mining industry to get it right when it comes to sustainability and waste management issues. Dee has managed to balance a very successful academic career with a family, I asked her how she navigated this. She recognises that being in academia is a privilege in that you can balance your workload such that if you have to be at a school sports day function, you can be, and can make this time up by burning the midnight oil. She says it requires flexibility and commitment, but acknowledges there are not many jobs which can enable one to have it all in this context. Plus, it helps to have an understanding spouse! I’ve always admired Dee’s confidence and leadership style. At a time where there is support and a desire for more women to step up in to leadership roles, I asked her about how she approaches leadership, particularly in an industry which is male-dominated. She recognises that in general, men and women have distinct styles with men adopting a ‘command, control and compete’ mentality, whilst women have a more ‘connect, collaborate and communicate’ approach (which is well suited to the Millennials generation). Dee stresses the importance of having a strong mind, being self-confident in your own abilities, developing and listening to your own strong positive internal voice. From 2007, she really began to listen to her voice, and went from strength to strength ever since. I believe Dee is a great leader because she is so earnest in her desire to understand people, scientific problems and society. Her passion is illuminating and inspires all around her and she truly is a woman to celebrate today for the massive contribution she has made to this industry. Minnesota is the largest producer of iron ore and taconite in the USA, and Minneapolis is the biggest city in the State, forming "Twin Cities" with the neighbouring state capital of St. Paul. Bisected by the Mississippi River, Minneapolis is known for its parks and lakes, and this year, for the first time it was the venue for the Annual Meeting of the Society for Mining, Metallurgy and Exploration (SME). Everyone sets their own agenda for this huge congress and exhibition, but my focus is always the giant exhibition, a great place to stroll around, meet old friends and make new acquaintances. And there are always a few surprises, so this is my diary of my few days in Minneapolis. 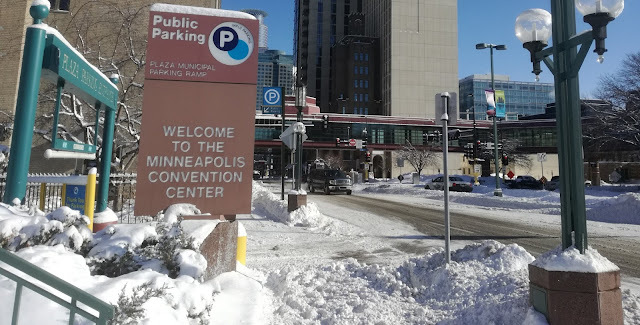 Yesterday's snowstorm caused many flight delays, and there were noticeably fewer delegates for the late afternoon reception in the exhibit area than in previous years. I always seem to catch up with my old friend Osvaldo Bascur, of OSIsoft, USA in the first few minutes of entering the hall, and he is always with interesting people, this time with Jim Gebhart, of FLSmidth, Tarun Bhambhani, of Solvay, USA and Ronel Kappes, of Newmont, USA. At last year's event I photographed Osvaldo with Qingqing Huang, who was then a post-doctoral research assistant at West Virginia University. It was good to hear that, a year on, she is now an Assistant Professor at the University. The University of Utah's student body is well represented, and some of them are shown below, along with the Mining Engineering's Professor and Chair, Mike Nelson. Before leaving the exhibition, I called in to see the UK's International Mining team, this year without its stalwart, John Chadwick, who I am sure will be back next year in Denver for the International Mining Technology Hall of Fame Awards. International Mining, one of the world's leading trade journals, is a media partner for all MEI Conferences. As the exhibition hall did not open until 11am, I called in at the Bookstore, to talk to Jane Oliver and her team. There are no new mineral processing books to report this year, but a major volume is planned for launching at next year's meeting in Denver. The SME tells me that at this stage there have been 4707 registrations, and over 550 companies are exhibiting, so it looks like numbers are relatively low this year. The South African branch of Split Engineering was represented at Comminution '16, and this morning Tom Bobo, a founding director of the USA company, expressed his interest in April's Comminution '18. Split have been using image analysis to provide on-line measure of particle size distribution of rocks from the ROM ore muck pile to the SAG mill feed, using a continuous, automatic, non-invasive monitoring system employing image processing technology for particle size, shape and colour for any conveyor belt or feeder location. Four years ago I wrote an article for the blog singing the praises of two small companies who regularly exhibit at SME and at MEI's comminution conferences. Chris Martin's Alabama-based RSG Inc. has exhibited at the MEI events since 2006. Chris formed RSG in 1991, having identified a need for more efficient classification in the kaolin and marble industries, specifically for vertical roller mills, and in 1999 the company invented, designed and built the first ever mill for dry ultrafine grinding of calcium carbonate. The latest mill is a 450 kW ufg-mill, and in April Chris will be commissioning a major lime plant start-up in Thailand, and so will unfortunately have to miss out on Comminution '18. The other small company highlighted in my 2014 article was Ontario-based Starkey & Associates. John Starkey founded S&A in 2000 and the company is now a global leader in ore hardness measurement, and grinding circuit design and optimisation, particularly for SAG mills. John and his wife Donna have been familiar faces at SME for many years, and have sponsored MEI's comminution conferences since 2012. This year John and Donna have forsaken Minneapolis, as many people seem to have done, and have left the booth in the capable hands of their metallurgists, Jenna Hedderson and Spencer Reeves, two young people who give me every confidence that the future of the minerals industry is in safe hands. There is an obvious scarcity of mineral processors this year, probably as there is no dedicated symposium in anyone's honour. So it was a great pleasure to see Glenn Dobby, and his colleague Catherine McInnes, of Woodgrove Technologies, Canada. I have followed Glenn's career for around 30 years, ever since I invited him and Jim Finch to Camborne School of Mines to present a workshop on column flotation, based on their eponymous text book on the subject. Glenn and his colleague Glenn Kosick were the recipients of a double award, as Canadian mineral processors of the year, at the recent CMP Annual Meeting in Ottawa. This was for their development of the Staged Flotation Reactor, which will be highlighted by Jan Nesset in his keynote lecture at next year's Flotation '19. Glenn and Catherine were talking to Rob Dunne and Chris Fleming. Rob is an adjunct professor at both Curtin University and the University of Queensland, Australia, and he will be presented a keynote lecture at Sustainable Minerals '18 in Namibia in June. Chris is Senior Metallurgical Consultant with SGS, Canada and this year's recipient of one of the SME's top awards. And it was to the Mineral Processing Division's Awards plenary session that I headed next. Hans Von Michaelis unfortunately was delayed, but he was the Robert H. Richards Award winner for his commitment to advancing the mining and mineral processing industry by collecting and sharing information about new technologies and application through his Presidency of Randol International Ltd.
Chris Fleming won the Milton E. Wadsworth Award for "exemplifying Wadsworth’s finest qualities of energy and enthusiasm for his work and desire to share his knowledge". Kevin Galvin is a long serving member of the Minerals Engineering Editorial Board. He is Laureate Professor at the University of Newcastle, Australia, and the winner of the MPD's most prestigious award, the Antoine M. Gaudin Award, for his contribution to advances in the science and engineering of innovative systems for coal and mineral beneficiation. Kevin is the inventor of the well known Reflux Classifier. The relative lack of mineral processors at this year's event was evident from the low attendance at the awards lectures, the major MPD plenary, with only around 30 in the audience. Many mineral processing companies are also missing from the exhibition this year, apart from in the comminution field, the area of mineral processing which has developed most rapidly in recent years. Stirred mills, for example, were little heard of in mining a few decades ago, but are now increasingly incorporated into flowsheets where ultrafine grinding is necessary. Eirich's TowerMill is one such machine, and Mark Oles and Christopher Clark, of Eirich Machines, USA, were demonstrating a model of the mill to delegates from Colorado School of Mines. The Eirich Group is headquartered in Germany and has subsidiaries worldwide. Nippon Eirich, the Japanese sister company, will be represented at Comminution '18, and Sam Palaniandy will be presenting work on developments for the further refinement of ultrafine grinding. Rob McIvor, Chief Metallurgist with Metcom Technologies Inc, was a keynote speaker at Comminution '16, so it was good to catch up with him and Business Development Manager Omar Arafat and Senior Metallurgist Kyle Bartholomew, talking to Bill Conger of ME-Elecmetal. Metcom Technologies has been generating a lot of interest with its new Streamline™ ball mill circuit modelling program, and has also launched a new commercial service focused on optimization of ball mill media sizing practices. In the MPD Comminution technical session Rob presented a paper which analysed the relationship between the size of the grinding media in the mill and grinding performance. Despite mineral processors being thin on the ground, the multi-speciality chemical company Solvay had, as usual, a large team in attendance. Solvay was a sponsor of Flotation '17 and expect to have a big involvement in next year's Flotation '19. As does another major chemical company, BASF, also strongly represented as a sponsor of Flotation '17, and also with a big team here. BASF was presenting its extensive range of products for hydrometallurgy, mine backfill, solid liquid separation and tailings management in its exhibition booth. Additional focus is on the latest developments in iron ore binder technology and flotation, which are also presented in three of the technical sessions. The exhibition opened at 11 am this morning, but if my agenda had been to sit in mineral processing lectures before the opening I think my head would be spinning. There were eight parallel sessions of interest to mineral processors this morning, including comminution, flotation and plant design, so I opted for leisurely coffee before being allowed into the exhibit hall by the border guards. It was nice of Yuesheng Gao to make himself known to me. Yuesheng is a PhD student at Michigan Technical University. He left the Central South University in China at the end of 2016, after graduating with an MSc in Prof. Yuehua Hu's group, supervised by Dr. Zhiyong Gao, who looked after my brief visit to Changsha last year. Three of MEI's most valued sponsors are Outotec, Metso and FLSmidth, who support a wide range of MEI Conferences. They are giant multi-national companies, whose status in the industry is reflected by the size of their displays at every SME. It is always good to catch up with Guven Onal, of Istanbul Technical University, Turkey, a regular at SME meetings and IMPCs. Guven was Chairman of the 2006 IMPC in Istanbul. It was also good to see the 2016 MEI Young Person's Award winner, Swadhin Saurabh, with his colleagues in the Millcreek Engineering booth. On leaving the exhibition I saw the University of Arizona's Brent Hiskey chatting with members of the Chevron Phillips flotation chemical company. It has been a somewhat downbeat day, with many of the familiar races missing, the general consensus being that Minneapolis was not the best choice of venue. However, let's see what tomorrow morning holds. I called in for a final stroll around the exhibits this morning before leaving for the airport and my long journey back to Cornwall, where there is very rare snow! The final day of the exhibition is usually quiet, but today it was like a ghost town, but I did manage to call at two more booths. I spoke to Pete Hoffmann and Ron Hutchcraft of Fluid Systems, who are interested in an involvement in Physical Separation '19 in Cape Town next year. The company manufactures cyclones and screens for high volume ultrafine operations. Bruker is a sponsor of Process Mineralogy '18, and I had a long chat with Tina Hill and Patrick Woo, Applications Scientists with Bruker AXS, USA, and Hitachi High-Tech, Canada, respectively. Bruker and Hitachi are in partnership for automated mineralogy software for minerals, oil and gas. 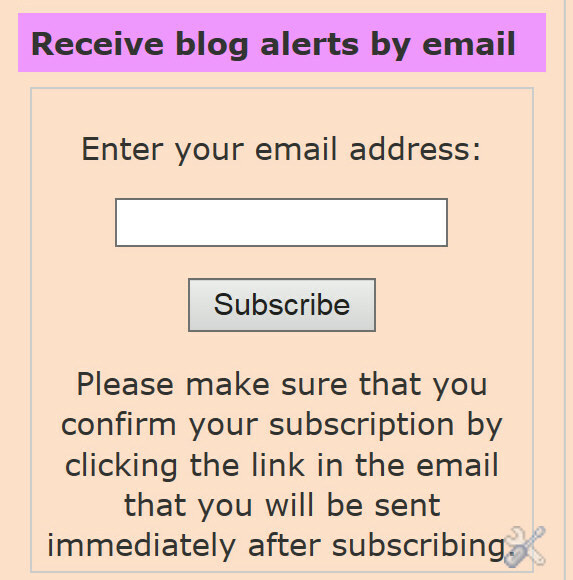 This has been a fairly low-key SME event, for me at least. Many people seem to have forsaken Minneapolis for various reasons, Denver, Salt Lake City and Phoenix being the most popular venues. The mining industry is now waking from its long slumber, so we can expect a record turnout next year in Denver, the home of the SME. I look forward to it, and I thank the organising committee for another smooth running event.